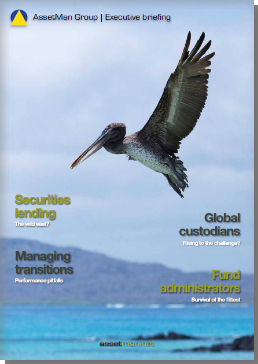 Our Executive Briefing magazine, now rebranded Insight, presents special reports and feature articles, and is available as part of our full-access magazine subscription. View details. Check or upgrade subscription. 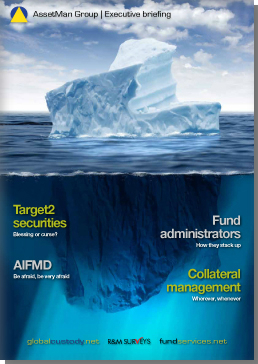 Asset management: where to next? We look to the future, examining a crucial dynamic that's in play: rapid transition in the balance of the core asset pools. 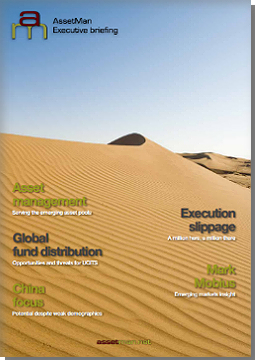 The UCITS framework has come to play a central role in the global distribution of investment funds. The consensus among fund managers and their service providers is that it will continue to do so, even with the coming launch of pan-Asian equivalents. We focus on China's asset pools and how, in common with many other Asian countries, the People's Republic has a creaking system of pensions provision which has failed to keep up with rapid economic and social developments. Among securities lenders and their agents, Asia is front of mind for its revenue potential as opportunities open up across the region. Where are we now and what does the future hold? In this article, leading market participants walk through the key markets and share their views and insight. Rising expectations and increasing challenges are combining to drag down client satisfaction in a wholesale manner. Which providers are succeeding in delivering consistent performance? The 22nd annual R&M GlobalCustody.net Survey, the largest of its kind, reports on the winners and losers. For even the most sophisticated investors, monitoring the impact of transitions on investment performance can prove difficult. In an informative article, we highlight the pitfalls and how to avoid them. A challenging new commercial and regulatory environment is driving rapid change. This article walks through the key dynamics and the consequences for product development, outsourcing and consolidation in the sector. Target2 Securities should help financial intermediaries spend a lot less money settling their European domestic and cross-border transactions when it goes live in 2015. At least, that's what the European Central Bank claims. Presenting the key results from the 10th annual R&M FundServices.net survey. The Alternative Investment Fund Managers Directive is supposed to protect investors in alternative funds by ensuring the associated operations are up to snuff. Alternative fund managers wanting to market their funds across Europe will need to quickly up their reporting and risk management procedures and hire depositary banks to handle a lot of their post-trade processing work. Collateral management: it's really an overused buzzword referring to a wide range of work to track down just where collateral is located, how much is needed for which transactions, and how to ensure it is sent to the correct location for the correct account. Fund managers have to do it; broker-dealers have to do it; and so do custodians as they increasingly take on the functions on behalf of their customers. Service providers must be fully prepared to tackle the demanding middle-office requirements of fund managers. As shown in the 21st annual R&M GlobalCustody.net survey, client expectations are at a new level and even the largest and most technologically-sophisticated banks might not always rise to the task. The US Foreign Account Tax Compliance Act carries some hefty obligations for fund managers. It's clearly far more than just a compliance burden – it's a data management monstrosity, as some experts warn. Fund administrators and custodians are either developing the necessary capabilities internally or looking to third-party providers themselves to help out. 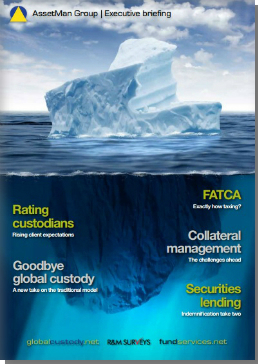 The question of whether the traditional global custody model is still relevant has been a recurring theme in recent years. Standard Chartered's considered approach to the overhaul of its own custody model takes the issue to a new level, one that would have been unthinkable only five years ago. In today's fast-evolving regulatory environment, a carefully considered collateral management strategy should be a key focus for institutional investors from both a compliance and risk management perspective. We speak to Jeannine Lehman, EMEA Business Head, Global Collateral Services at BNY Mellon on this subject. Custodians and investment funds may have to renegotiate their contractual agreements to account for the higher cost of indemnification or restrict participation in securities lending programmes. We provide the results of our independent survey on just what institutional investors and fund managers across the globe think of their service providers. Indemnification, a time-honoured practice in the securities lending and borrowing market, could end up either being scrapped or a lot costlier, if regulators have their way, leaving custodians and their investment fund customers with some pretty tough decisions. While popular in the equities and fixed-income markets, reliance on a clearinghouse to process transactions hasn't exactly taken hold in the securities lending industry. Might this be about to change? This legislation will level the playing field between alternative investment fund managers and their clients on the one hand, and traditional fund managers and theirs on the other, when it comes to marketing their funds across borders. 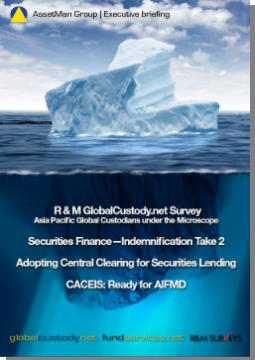 CACEIS explains just what AIFMD entails and how it's preparing.